Prepare for Change is putting together a team to launch the Nature Restoration program. 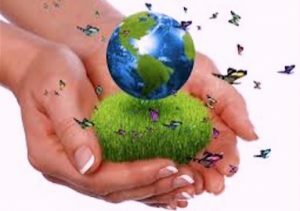 We are seeking volunteers experienced or interested in nature and environmental issues such that we become the preeminent source for nature related programs with a divine purpose. We have lots of ideas on how we see the program evolving, however we seek others who can bring their own vision and creativity into its’ planning. Our immediate goal is to find a team of dedicated volunteers willing to share their thoughts and ideas with others. As there are many people with a passion for their beliefs, there are few of those willing to take a leadership role required in advancing that vision. If this seems like your calling and/or interest, please plan to attend a conference call on Sunday, November 18 at 11 am. The call will be initiated in the USA on CDT time (BST London time, AEST Australian time) and will be limited to less than an hour. Please be reminded that Prepare For Change and the Nature Restoration program is completely run by volunteers and that if you are considering becoming a volunteer, please know that it will take a level of commitment of your personal time. Such commitment is hopefully incentive for all to manifest The Event! We hope your awareness of our planet’s current state nudges you to understand that real positive change is afoot. Perhaps this is an opportunity to manifest the change you want to make. I will be on the call. Yes, for sure , I will be on the call, my dreams are coming true….!! joopa joo..Niinpä niin…Ja pitkät vitut! I’m a citizen scientist for Lake Tahoe where I live. We keep the lake free of weeds that create huge problems for the fish and other native lake plants. Plus doing so keeps our lake so blue. I have a date (9am PST) for the Weekly Ascension Meditation at that time. Nice to hear that some of us have ascended to the plane of “leading the world to restore nature” and no longer need to assist in the mass meditation scheduled for that time. The weekly meditation call is at 9 am CST, our call is at 11 am CST.